After becoming the smartphone market leader in China last year, Samsung has reportedly broken records by shipping 12.5 million handsets in the first quarter of 2013, more than doubling sales of Apple's iPhone. According to market research firm Strategy Analytics, as reported by The Korean Herald (via The Next Web), Samsung broke a smartphone sales record in the booming Chinese smartphone market during the first quarter, selling some 12.5 million handsets, while Apple's iPhone saw sales of 6.1 million units. Quarter-on-quarter, Samsung boosted its share of the Chinese smartphone market by 2.2 percent, leaving the Korean company with 18.5 percent of all sales for the three month period ending in March. This is the first quarter Samsung sold over 10 million smartphones in the country. 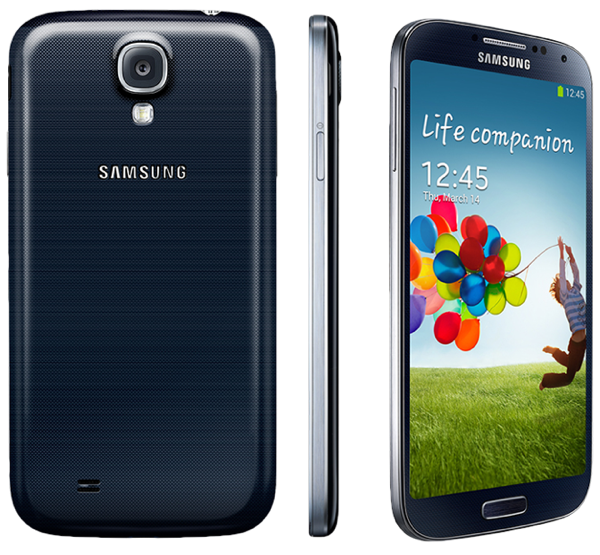 Samsung's latest Galaxy S4 flagship smartphone. Second through fifth place went to Chinese companies, including second-place Huawei and third-place Lenovo, which sold 8.1 million and 7.9 million smartphones, respectively. Fourth and fifth place went to Coolpad and ZTE, which managed to move a respective 7 million and 6.4 million units. Apple landed in sixth place with 6.1 million iPhones sold during the first quarter. Trailing the pack was Korean manufacturer and the world's third-largest smartphone maker LG, which eked out 100,000 units sold to account for a 0.1 percent share of the Chinese market. Overall, Chinese consumers purchased 67.4 million smartphones from January to March, accounting for about 32 percent of all worldwide handset sales. While it is difficult, if not impossible, to make comparisons between sales and shipments, Strategy Analystics' findings are somewhat in line with shipping estimates released by Canalys earlier in May. That report claimed overall Chinese smartphone shipments came out to 82 million units, with Samsung holding 20 percent of the market, up 2.3 percent from the previous quarter. Samsung joined Apple, which saw iPhone shipments good enough for fifth place, to become the only two foreign companies to earn spots on China's top-ten smartphone manufacturer list for the first quarter. While specific OEM numbers are disputed in the two reports, it is clear that China has become the world's largest smartphone market, and thus the next battleground for handset makers around the globe.